Since the markets are loaded with beets right now, and yet it’s hot enough to still feel like summer, it seemed a good time to make a batch. “Just look it up,” she told me – of course like all good cooks, she follows her instincts rather than a recipe. Most cold borscht is made with tangy buttermilk and sour cream, and I’m a fan of the addition of dill pickles to soup. 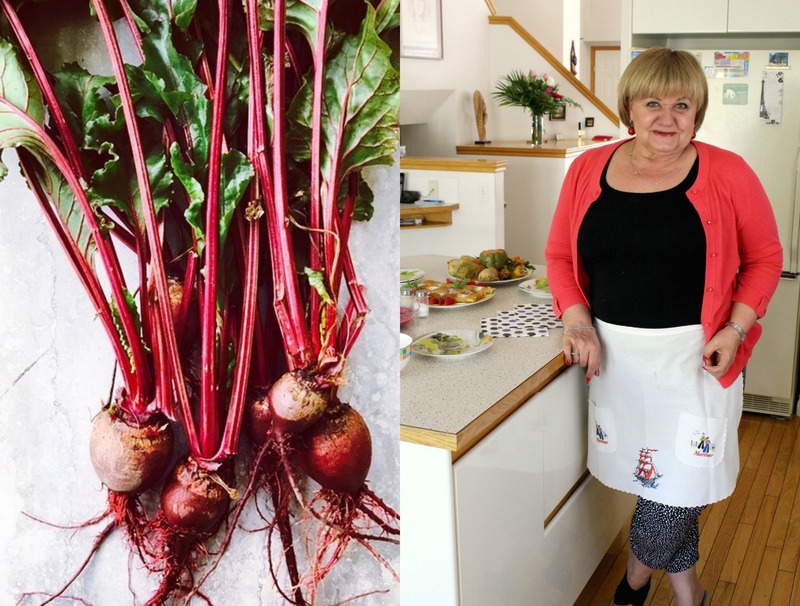 Beyond the beets (buy them with their greens, if you can, and use them too), the veggies tend to be the crunchy, juicy kind you’d normally see in salads, on sandwiches and crudité platters – snappy cucumbers and peppery radishes. But I imagine you could draw inspiration from your garden and the farmers’ market, or just use what you like. OOOOH! I am going to give this a try. Thanks, Julie! 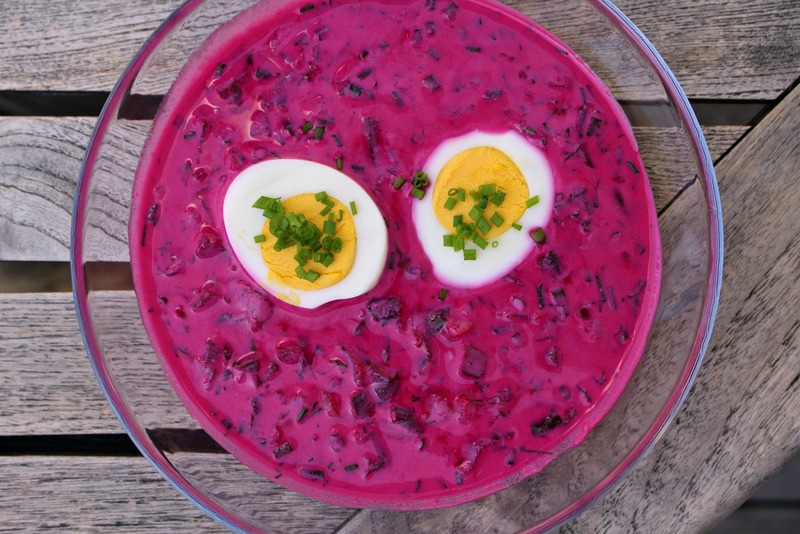 Delicious home-cooked beet soup, Polish or Lithuanian-style, hot or cold, is my absolute favorite soup. It’s deliciousness is incomparable! Isn’t it amazing? And I just love the colour!